Chris Miskiewicz and myself signing Thomas Alsop special edition trades at Art Bubble festival in Aarhus. 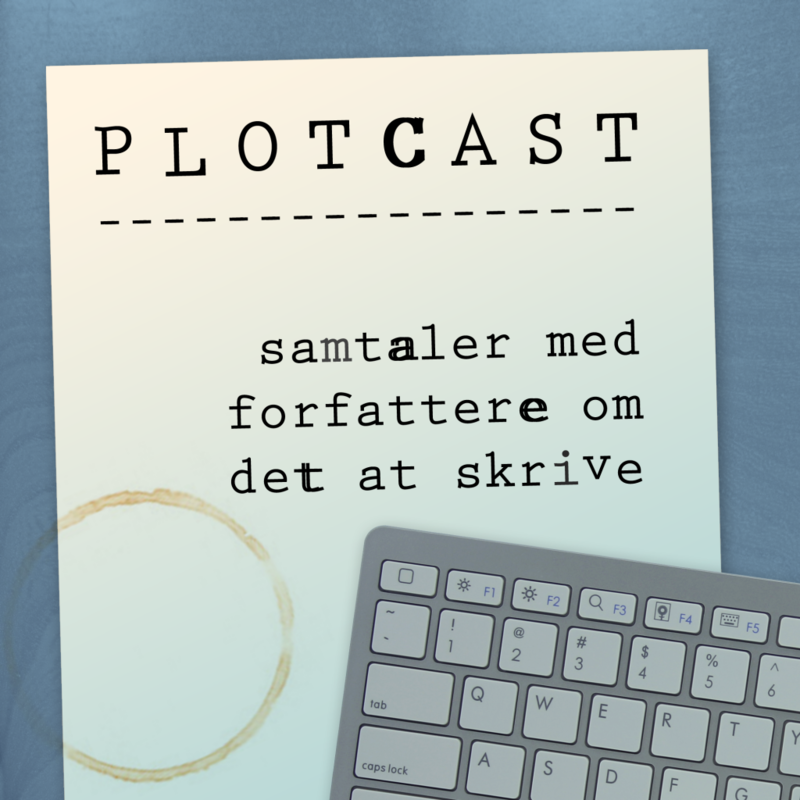 Here’s a short summary of what I’ve been up to since the release of Den sidste gode mand / The Last Good Man. I presented the book with writers A. J. Kazinski at Krimimessen in Horsens (the biggest crime fiction book fair in Denmark, held at a closed down prison!). The reception was overwhelming. Lots of books sold and people said nice things about my art. I also painted a bunch of portraits of Danish crime writers for the publisher’s booth – Jussi Adler Olsen, Jesper Stein, Julie Hastrup, Anna Grue and others. The first reviews of the book started coming in. I quoted a bunch of them here. 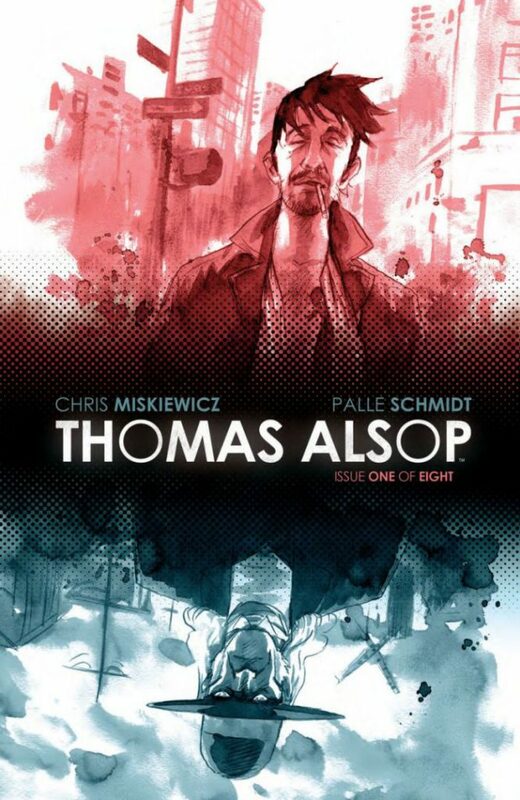 The second trade paperback of Thomas Alsop was released (in a special edition) and my collaborator Chris Miskiewicz came over for the Art Bubble comic con in Aarhus, Denmark. The special con edition had a blank cover and I did hand-drawn art on every copy sold. Quite a few people showed up and I had a blast decorating the books while Chris did the hard work of signing his name. 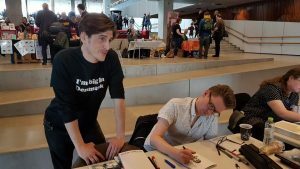 The following week we had a signing in Faraos Cigarer in Copenhagen an were happy to repeat the process – several people from the Aarhus con showed up again! Drank way too many beers with Chris and other comics people, Glen Fabry and Antony Johnston to name-drop a few. I finished a crime YA novel about two brothers trying to find their sister’s killer, which I sent off to a publisher I’ve previously worked with. Details will follow, but the book was accepted and is set for publication early next year. I accepted another graphic novel gig which I’ll be digging in to in the fall. I picked up the writing of my second crime noir novel and I’m having a blast writing it. Tomorrow off for Munich for my first German comic con. Looking forward to seeing what the scene is like there. I’m sure some beers will be involved too.